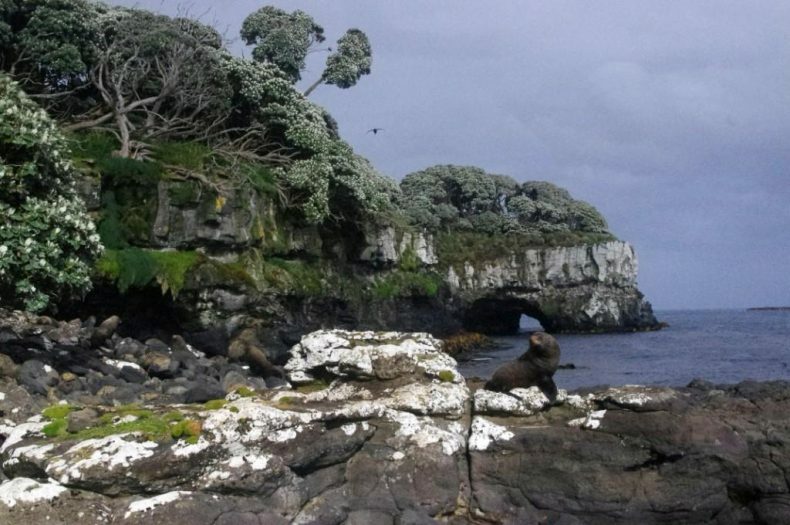 Bird expert Colin Miskelly has recently returned from the subantarctic Auckland Islands, far south of Stewart Island. Here, he tells us about his ongoing research on a little-known bird that he’s been fixated with for the past 35 years. The term sniper is derived from snipe hunting. The common snipe in Europe is a game bird, and has a rapid zig-zag flight when disturbed (e.g. by people or dogs walking through swamps). Snipe shooting is a good trial of a gunner’s skill – hence ‘sniper’ became a term for someone who is a good shot. 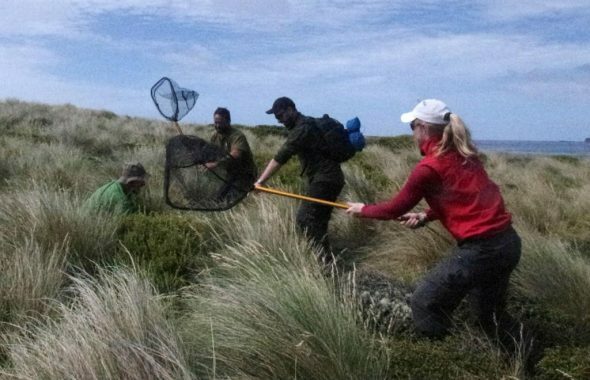 It’s rather ironic that in New Zealand we catch snipe with hand-nets. Snipe have been a recurring subject throughout my research career, dating back to my first visit to the Snares Islands as an undergraduate in 1982. However, as they are now found only on remote island groups with no introduced predators, opportunities to undertake fieldwork on them have been sporadic and often many years apart. 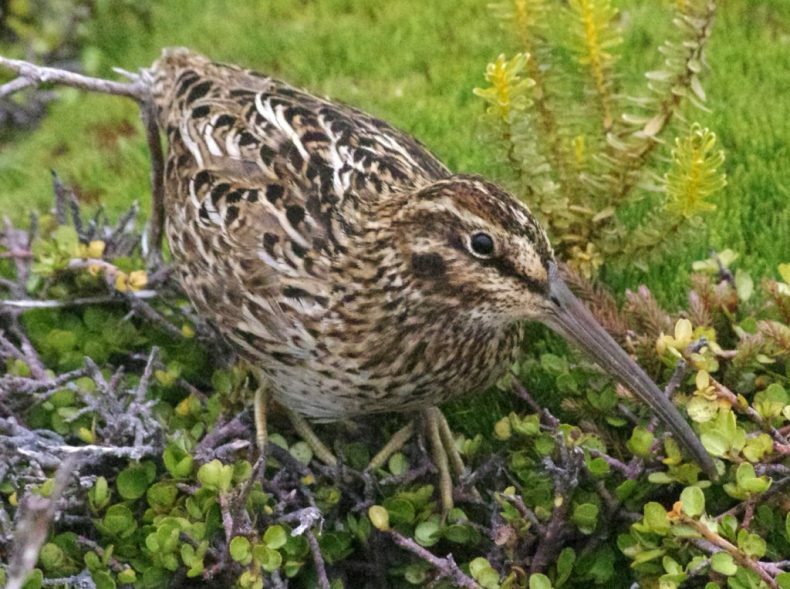 There are three living species of New Zealand snipes: Chatham Island snipe, Snares Island snipe and subantarctic snipe, with the subantarctic snipe having separate subspecies on each of the Auckland Islands, Antipodes Islands, and Campbell Island. Until recently, the Auckland Island snipe was the form that I had had least contact with. My sole experience was catching some during a few hours on Enderby Island in January 2006. James Fraser and I were en route to Campbell Island (further south) to undertake a survey of the then newly-discovered Campbell Island snipe. 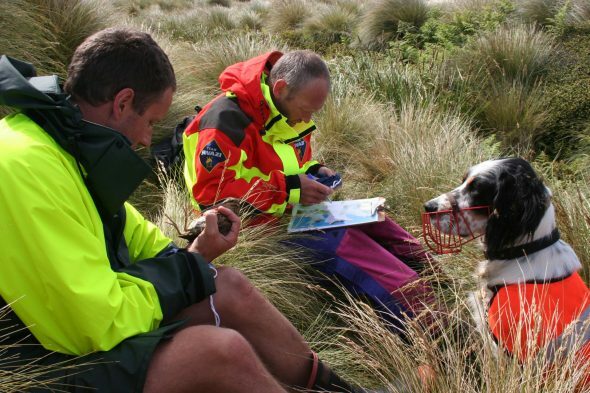 With us was our primary survey tool – James’s conservation dog Percy. And we needed to teach Percy what snipe smelt like before we reached Campbell Island. 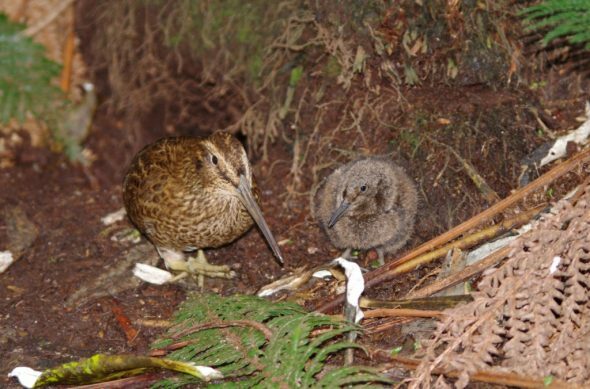 Blood samples collected on Enderby Island and Campbell Island during that trip were used in a genetic comparison of all five living forms of New Zealand snipes, which resulted in the Campbell Island snipe being named as a new subspecies of subantarctic snipe in 2010. But, as often happens, the study raised as many questions as answers. 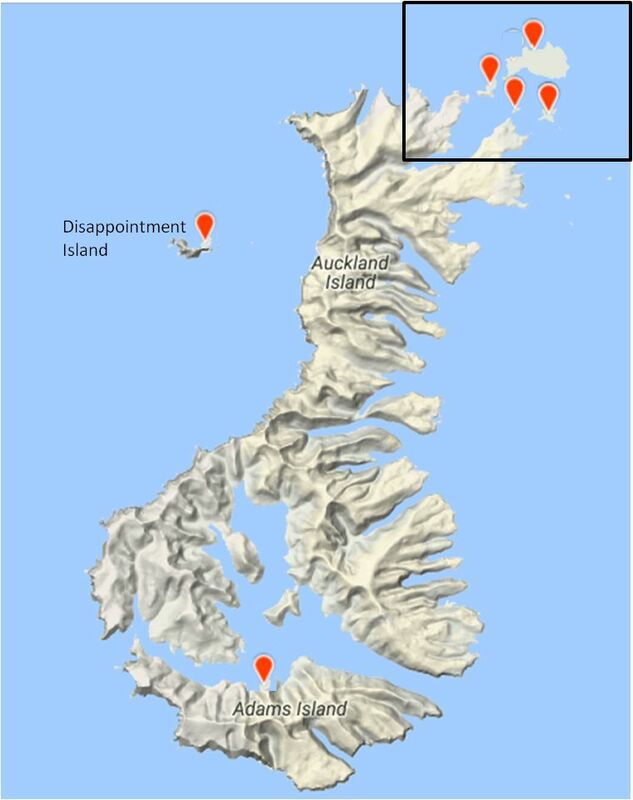 Also included in the genetic study were additional Auckland Island snipe samples collected by other field workers on Adams Island in the south, and Rose Island, which is adjacent to Enderby Island. To my surprise, the snipe populations on each of these three islands were genetically quite distinct from each other. But we had only small samples from each of Enderby and Rose Islands (4 or 5 birds each), and so we chose to combine them as a single ‘Port Ross’ sample. We also realised that snipe from Disappointment Island should have been included in the study, as they are the most isolated population of Auckland Island snipe. Snipe are poor, or at least infrequent, fliers. While it’s expected that they will naturally recolonise the main Auckland Island if cats, pigs, and mice can be eradicated, conservation managers may choose to assist the process to ensure a genetically robust founding population. 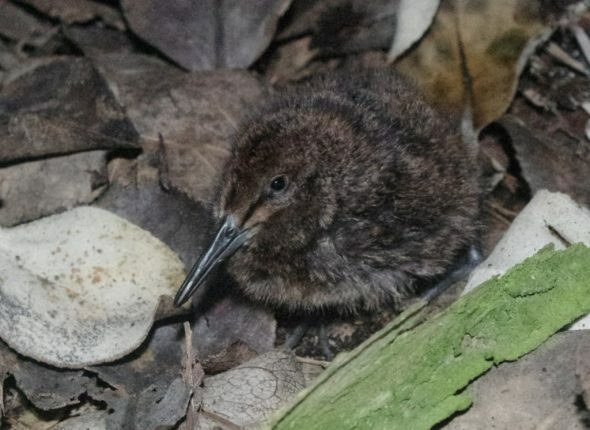 Knowing the genetic structure of each of the surviving Auckland Island snipe subpopulations is a necessary first step before deciding whether ‘post-eradication’ translocations will be beneficial, and where they should be sourced from. Snipe would have occurred throughout the Auckland Islands when the group was discovered (or re-discovered) by the captain of a whaling and sealing vessel in 1806. 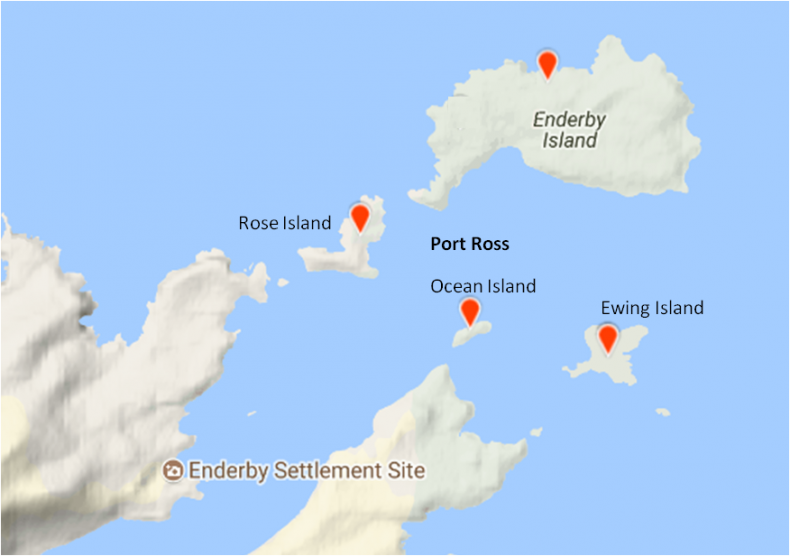 Pigs and cats had been introduced to the main island by the time Captain James Clark Ross visited with his vessels Erebus and Terror in 1840, with rabbits subsequently introduced to Enderby and Rose Islands, and mice inadvertently introduced to the main island and Enderby Island. Enderby, Rose and Ocean Islands were all used for grazing farmstock during the ‘Hardwicke settlement’ years (1849-52), by which time Auckland Island snipe were confined to the only three substantial islands in the group that lacked introduced mammals – Adams Island in the south, Disappointment Island to the west, and Ewing Island in the north. Fortuitously, Ewing Island had a dense cover of Olearia lyallii tree daisy forest that would have been resistant to axe and fire, providing a refuge for snipe at a time when grazing land around Port Ross was at a premium. Sheep, cattle, rabbits, and mice died out or were eradicated from Enderby, Rose and Ocean Islands by 1993, allowing their vegetation to recover. Snipe are now found on all these islands, and are presumed to have naturally recolonised from Ewing Island 1.4-3.3 km away. However, Rose Island may have received its snipe via Enderby or Ocean Islands, reducing the maximum water crossing distance to 2 km (i.e. Ewing Island to Enderby Island). The maximum water crossing would be even shorter (1.5 km) if Enderby Island was recolonised via Ocean then Rose Islands. 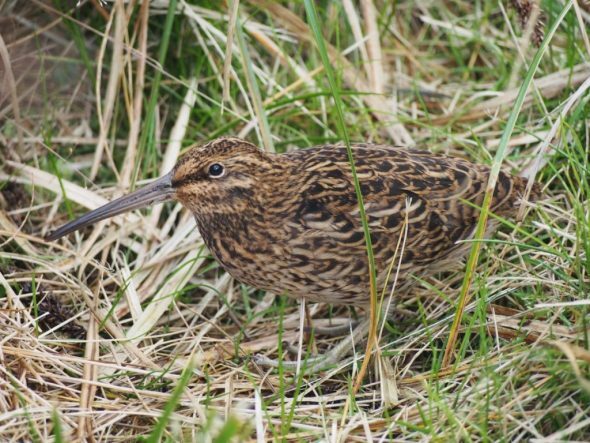 Understanding the genetic structure of snipe populations within Port Ross required inclusion of Ewing Island (the presumed ancestral population) in the study, plus obtaining larger samples from each of Enderby and Rose Islands. We decided that Ocean Island was too small to have a realistic chance of capturing enough snipe to sample. In the end we sought and were granted permission to collect blood from up to 10 snipe on each of Disappointment, Ewing, Enderby and Rose Islands. Snipe were readily found and caught on Enderby and Rose Islands, where it took only 8 to 16 hours of hunting (with hand-nets) to reach our quota. Disappointment Island and Ewing Island were harder work. Only 6 snipe were caught during the time available on Disappointment Island (though we did find a nest). 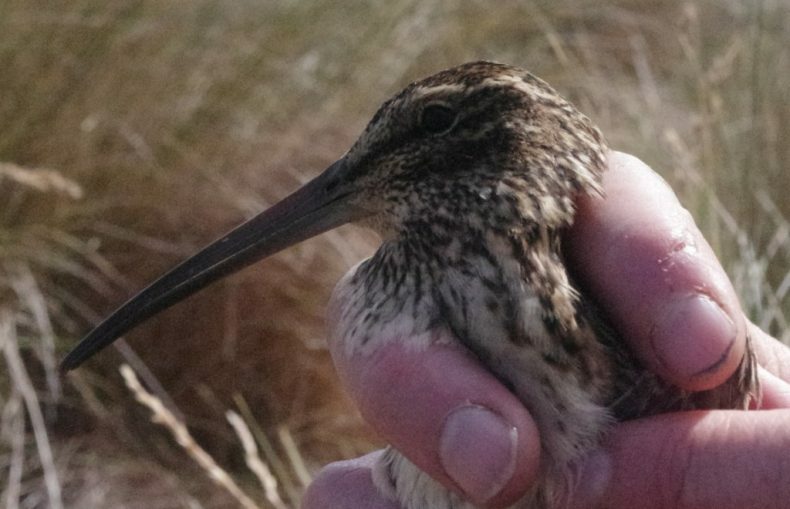 And it took 6 landings and a combined 38 hours of searching before the tenth snipe was caught on Ewing Island. As is often the case, our snipe field work threw up even more questions. 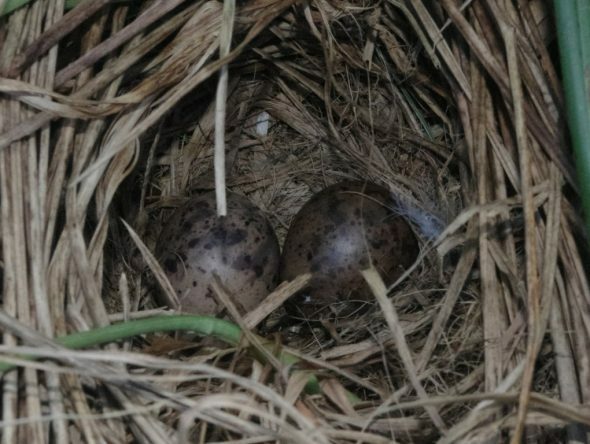 The breeding cycle was at quite different stages on different islands – eggs on Disappointment Island, fully-feathered juveniles on Enderby and Rose Islands, and a mix of eggs, young chicks and juveniles moulting into adult plumage (but nothing in between) on Ewing Island. There is still much to learn about the ecology of these fascinating birds. With thanks to the Department of Conservation for permission to handle snipe and to enter islands within the Auckland Islands Nature Reserve, the crew of Evohe for safely getting us on and off the islands, Parker Conservation for their assistance on Disappointment Island, and Alan Tennyson, Nicki Atkinson and the Enderby sea lion team for their assistance with snipe capture on islands in Port Ross. Dear Colin! It must be a great experience to find and see these very rare chicks.The photo with the parent and chick together is a masterpiece. Is there any previous photos or records on nesting? Hopefully DNA data will help at the protection of Snipes. Even Common Snipe in Europe is rare to see on nest. Fortunately, there are countries in Europe eg. Hungary where Common snipe is no longer a game bird, because of the decline in breeding population! Thank you for your kind words. It is a rare privilege to have access to these islands and the opportunity to observe snipe interacting and breeding, and it is always a great thrill to find a nest. Fascinating! So many different birds on all of these so southernly islands. Many thanks for the article. How marvellous it would be to have an appropriate snipe populations restored to sanctuaries in the north and south islands!